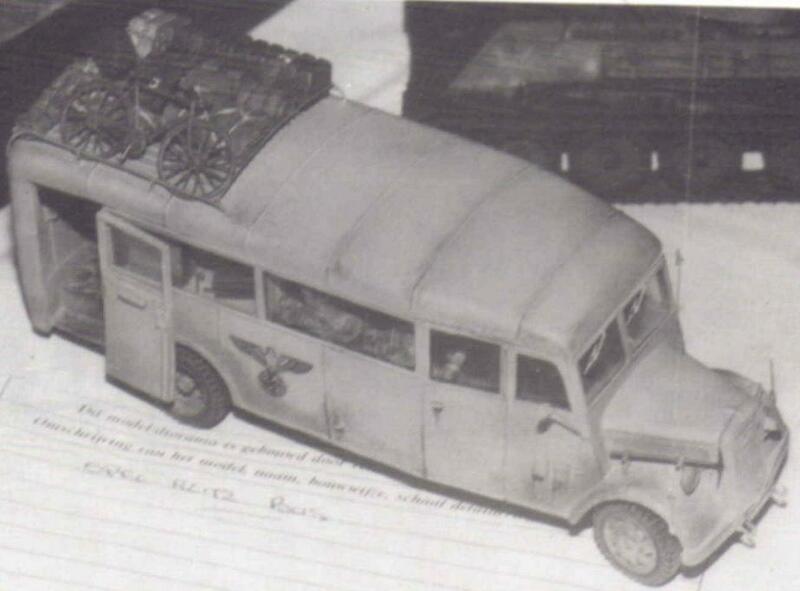 Details : Nice looking Wehrmacht I bus in Luftwaffe colors, but who build it? The Twenot is the nationally biggest Dutch modelers community. In it's paper periodical this picture was shown of an award winning bus. It probably is an Ironside model. The headlights are to high up the mudguards as always. No details known yet.